2214101 BR10J Daewoo BR10J Reach truck Spare parts catalog. Service (workshop) Manual. Electrical and Hydraulic Schematic. Operation and maintenance manual. 2214102 BR10S Daewoo BR10S Reach truck Spare parts catalog. Service (workshop) Manual. Electrical and Hydraulic Schematic. Operation and maintenance manual. 2214103 BR10S-2 Daewoo BR10S-2 Reach truck Spare parts catalog. Service (workshop) Manual. Electrical and Hydraulic Schematic. Operation and maintenance manual. 2214104 BR13J Daewoo BR13J Reach truck Spare parts catalog. Service (workshop) Manual. Electrical and Hydraulic Schematic. Operation and maintenance manual. 2214105 BR13J-5 Daewoo BR13J-5 Reach truck Spare parts catalog. Service (workshop) Manual. Electrical and Hydraulic Schematic. Operation and maintenance manual. 2214106 BR13S Daewoo BR13S Reach truck Spare parts catalog. Service (workshop) Manual. Electrical and Hydraulic Schematic. Operation and maintenance manual. 2214107 BR13S-2 Daewoo BR13S-2 Reach truck Spare parts catalog. Service (workshop) Manual. Electrical and Hydraulic Schematic. Operation and maintenance manual. 2214108 BR13S-5 Daewoo BR13S-5 Reach truck Spare parts catalog. Service (workshop) Manual. Electrical and Hydraulic Schematic. Operation and maintenance manual. 2214109 BR13S-7 Daewoo BR13S-7 Reach truck Spare parts catalog. Service (workshop) Manual. Electrical and Hydraulic Schematic. Operation and maintenance manual. 2214110 BR14JW Daewoo BR14JW Reach truck Spare parts catalog. Service (workshop) Manual. Electrical and Hydraulic Schematic. Operation and maintenance manual. 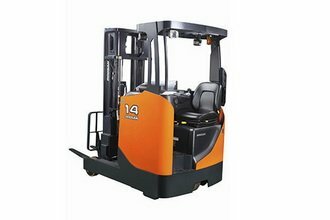 2214111 BR14JW-5 Daewoo BR14JW-5 Reach truck Spare parts catalog. Service (workshop) Manual. Electrical and Hydraulic Schematic. Operation and maintenance manual. 2214112 BR14S-2 Daewoo BR14S-2 Reach truck Spare parts catalog. Service (workshop) Manual. Electrical and Hydraulic Schematic. Operation and maintenance manual. 2214113 BR15J Daewoo BR15J Reach truck Spare parts catalog. Service (workshop) Manual. Electrical and Hydraulic Schematic. Operation and maintenance manual. 2214114 BR15J-5 Daewoo BR15J-5 Reach truck Spare parts catalog. Service (workshop) Manual. Electrical and Hydraulic Schematic. Operation and maintenance manual. 2214115 BR15S Daewoo BR15S Reach truck Spare parts catalog. Service (workshop) Manual. Electrical and Hydraulic Schematic. Operation and maintenance manual. 2214116 BR15S-2 Daewoo BR15S-2 Reach truck Spare parts catalog. Service (workshop) Manual. Electrical and Hydraulic Schematic. Operation and maintenance manual. 2214117 BR15S-5 Daewoo BR15S-5 Reach truck Spare parts catalog. Service (workshop) Manual. Electrical and Hydraulic Schematic. Operation and maintenance manual. 2214118 BR15S-7 Daewoo BR15S-7 Reach truck Spare parts catalog. Service (workshop) Manual. Electrical and Hydraulic Schematic. Operation and maintenance manual. 2214119 BR16JW Daewoo BR16JW Reach truck Spare parts catalog. Service (workshop) Manual. Electrical and Hydraulic Schematic. Operation and maintenance manual. 2214120 BR16JW-5 Daewoo BR16JW-5 Reach truck Spare parts catalog. Service (workshop) Manual. Electrical and Hydraulic Schematic. Operation and maintenance manual. 2214121 BR18J Daewoo BR18J Reach truck Spare parts catalog. Service (workshop) Manual. Electrical and Hydraulic Schematic. Operation and maintenance manual. 2214122 BR18J-5 Daewoo BR18J-5 Reach truck Spare parts catalog. Service (workshop) Manual. Electrical and Hydraulic Schematic. Operation and maintenance manual. 2214123 BR18S Daewoo BR18S Reach truck Spare parts catalog. Service (workshop) Manual. Electrical and Hydraulic Schematic. Operation and maintenance manual. 2214124 BR18S-2 Daewoo BR18S-2 Reach truck Spare parts catalog. Service (workshop) Manual. Electrical and Hydraulic Schematic. Operation and maintenance manual. 2214125 BR18S-5 Daewoo BR18S-5 Reach truck Spare parts catalog. Service (workshop) Manual. Electrical and Hydraulic Schematic. Operation and maintenance manual. 2214126 BR18S-7 Daewoo BR18S-7 Reach truck Spare parts catalog. Service (workshop) Manual. Electrical and Hydraulic Schematic. Operation and maintenance manual. 2214127 BR20S-2 Daewoo BR20S-2 Reach truck Spare parts catalog. Service (workshop) Manual. Electrical and Hydraulic Schematic. Operation and maintenance manual. 2214128 BR20S-5 Daewoo BR20S-5 Reach truck Spare parts catalog. Service (workshop) Manual. Electrical and Hydraulic Schematic. Operation and maintenance manual. 2214129 BR20S-7 Daewoo BR20S-7 Reach truck Spare parts catalog. Service (workshop) Manual. Electrical and Hydraulic Schematic. Operation and maintenance manual. 2214130 BR25S-2 Daewoo BR25S-2 Reach truck Spare parts catalog. Service (workshop) Manual. Electrical and Hydraulic Schematic. Operation and maintenance manual. 2214131 BR25S-5 Daewoo BR25S-5 Reach truck Spare parts catalog. Service (workshop) Manual. Electrical and Hydraulic Schematic. Operation and maintenance manual. 2214132 BR25S-7 Daewoo BR25S-7 Reach truck Spare parts catalog. Service (workshop) Manual. Electrical and Hydraulic Schematic. Operation and maintenance manual.